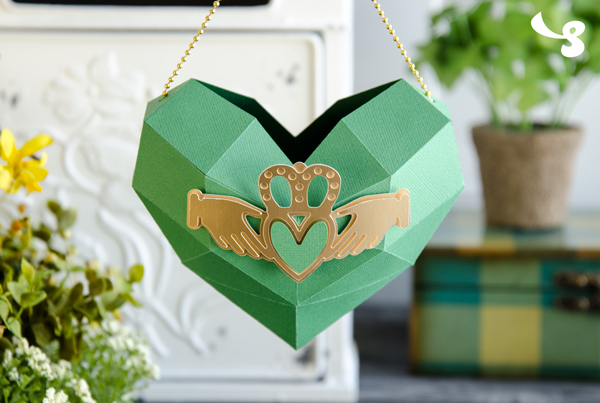 I just had to see how our Hanging Geometric Heart project would look in GREEN with a pretty gold claddagh heart design on the front. I love it! 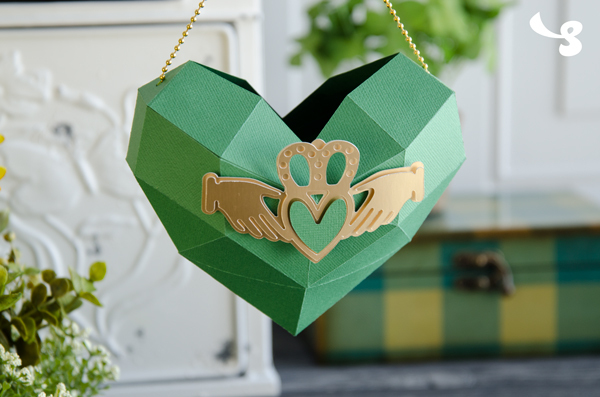 Not only would it make a lovely treat for someone come March, but who wouldn't love it as part of some St. Patrick's Day decor. For something so special-looking, it's hard to believe how quickly I just made it. Here's how I did mine! 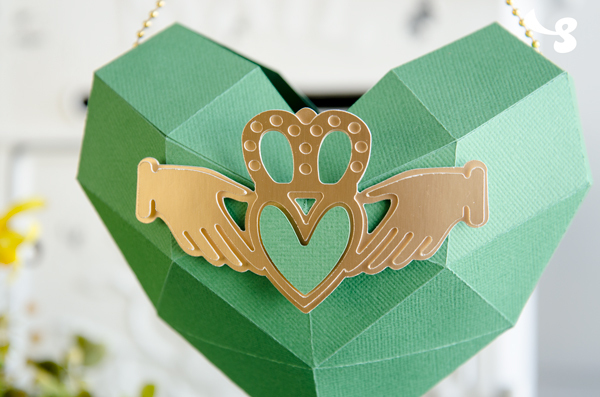 Cut out the hanging_geo_heart.svg file at its default size, which is 11.4 x 11.4"
Boom! So quick and easy! I think this honestly took me about 20 minutes, if that. 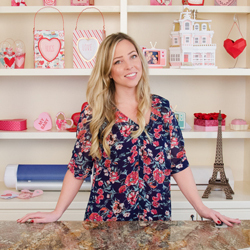 If you make this project, please feel free to share a picture with us on Facebook! And of course be sure to follow us on Facebook, subscribe on YouTube and sign up for our newsletter!